Near, Mid, and Far Infrared rays Near Infrared is the shortest wavelength, and will be absorbed just below the surface of the skin creating a sweat that promotes healing and revitalization. Far infrared is the longest wavelength which penetrates the fat cells causing vasodilation, where the fat cells vibrate to expel toxins, resulting in the greatest levels of detoxification and stimulate your metabolism to aid in weight-loss. - Is it safe? Yes! Infrared heat is all around us. This photo below shows everything emits and receives infrared heat. This image was taken with a camera that takes a regular photograph and an infrared image of the subjects at the exact same time. Infrared heaters warm the body in the same manner as natural sunlight. Traditional saunas heat the air, infrared heats the body directly This is the same type of heat as produced by the sun and our bodies. Chromotherapy is the science of using wavelengths of color light to affect your body and mind for improved health and happiness. Medical Grade Chromotherapy is very powerful using 96 LED lights with an array of 12 colors - red, strong green, strong blue, orange, green, blue, strong yellow, strong indigo, strong pink, yellow, indigo and violet. Due to the high output of this unit, we added a remote dimmer switch. Violet is the last color we can see before light passes-on to ultra-violet. This color is an excellent remedy for neurosis, diseases of the scalp, sciatica, tumors, rheumatism, cerebral meningitis, concussion, cramps and epilepsy. Violet animates and cleans the venous blood. It is generally not used for physical conditions; however, some color experts believe that it does provide nourishment to the cells in the upper brains. Violet purifies our thoughts and feelings giving us inspiration in all undertakings. Theviolet energy connects us to our spiritual self, bringing guidance, wisdom and inner strength, and enhances artistic talent and creativity. Leonardo da Vinci proclaimed that you can increase the power of meditation ten-fold by meditating under gentle rays of violet, as found in church windows. 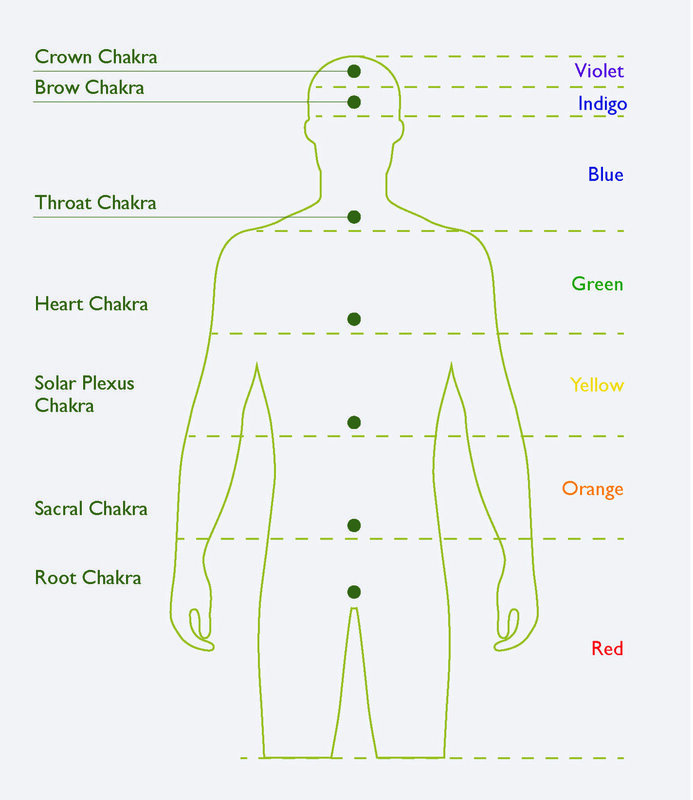 Green is the universal healing color. Green is midway in the color spectrum. It contains both a physical nature and a spiritual nature in equal balance and in equal harmony. This Green can be. Used for just about any condition in need of healing. When in doubt, green will always work. It can help relax muscles, nerves and thoughts. Green cleanses and balances our energy to give a feeling of renewal, peace and harmony. Used primarily for balancing our whole being, it is neither relaxing nor astringent in its impact. In a more practical sense, green affects blood pressure and all conditions of the heart. Having both an energizing effect, moderating or soothing effect. Green can help heal many illnesses of this nature, specifically including heart troubles, decreasing and stabilizing blood pressure, ulcers, cancer, headaches, nervous disorders and influenza, and acts as a general tonic. Yellow helps awaken mental inspiration arousing higher mentality. Thus, it is an excellent color for nervous or nerve-related conditions or ailments fueling the solar plexus. Yellow has a very enriching effect upon the intellect. Yellow can be used for conditions of the stomach, liver and intestines. It can help the pores of the skin by repairing scarred tissue. These rays have an alkalizing effect which strengthens the nerves. Awakening, inspiring and vitally stimulating the higher mind promoting self-control. Typical diseases treated by yellow are constipation, gas, liver troubles, diabetes, eczema and nervous exhaustion. Providing clarity of thought, increasing awareness, stimulating interest and curiosity, yellow energy is related to the ability to perceive or understand. The yellow energy connects us to our mental self. Orange has a freeing action upon the mind, relieving repression. Because orange is a blend of red and yellow, it combines physical energy with mental wisdom, including a transformation between low physical reaction and higher mental response. Thus, it is often referred to as “The Wisdom Ray.”Orange is warm, cheering, and non-cheering, and non-constricting. Through orange, we’re able to heal the physical body (red), and at the same time, induce within the mind (yellow) greater understanding. Orange helps assimilate new ideas. Orange is the best emotional stimulant, helping to remove inhibitions paving independent social behavior, such as bringing joy to your workday and strengthen your appetite for life. Orange aids in repairing inflammation of the kidneys, gallstones, menstrual cramps, epilepsy, wet cough and all sinus conditions. Red is called “The Great Energizer.” It loosens, releases stiffness and constrictions. Red is the first visible color we see after the infrared band is passed. It promotes cellular growth, stimulating the “will”aspect, or the circulatory system. It is therefore indicated for all colds, sluggish or dormant conditions, such as pneumonia, arthritis, anemia, as a liver stimulant, an energy builder, and for increasing circulation. Red links with and stimulates the base of the spine, causing the adrenal glands to release adrenalin. This results in greater strength. Red causes hemoglobin to multiply, thus increasing energywhich raises body temperature conditions as it stimulates sensory nerves such as hearing, taste, smell, and activates metabolism. It is excellent for anemia or blood-related conditions.